Successfully Added 10pcs+ High Quality Earphones to your Shopping Cart. 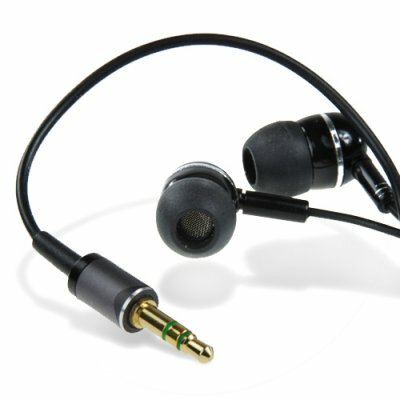 10+ quantity high quality in ear headphones. These comfortable, lightweight earphones are the perfect solution to meet all your audio needs. The compact headphones are suitable for PC multimedia, digital MP3/MP4 players, CD/DVD players and portable gaming systems. With superior styling and ergonomically designed for hours of use, the in-ear headphones deliver brilliant results and fit snugly to provide outstanding comfort for on the go music listening. A superb blend of affordability and high quality ensures that these headphones will meet and exceed your expectations. High quality, lightweight in-ear headphones for your portable audio needs. Recommended for PC multimedia, digital music players, CD/DVD players and portable gaming systems. Extremely small and lightweight, these in-ear head phones use a gold-plated 3.5mm jack offering high quality sound reproduction for an enhanced audio experience. on 2009-04-07 06:24:55 Very Good! A very good product, cheap and the sound is quite good! good high pitches, but the low bass sound are not so good. design is very nice, but the build qualety is desent.